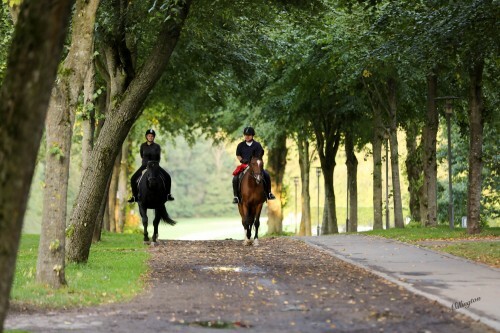 While strolling through the old tree-lined way passing the historical buildings of the Danish National Equestrian Centre I don’t remember lately having so much fun people watching: Happy people who have fun with their Arabian horses. On the other hand, it is not surprising as we are in Denmark. The recently published 2017 World Happiness Report says, “the happiest nation on earth is Denmark.” Danes have a lot of reasons to celebrate, particularly the more than 300 Arabian horse breeders, as the Danish Arab Horse Society (DSAH) celebrated their 50th anniversary this year. The Danish National Equestrian Centre is situated at the beautiful Vilhelmsborg Manor only a few kilometers from Aarhus. 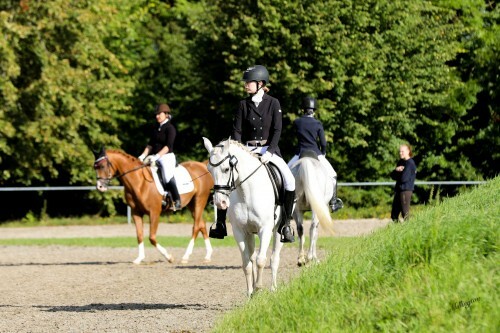 It is one of the largest equestrian centers in Europe featuring superb international-class facilities. 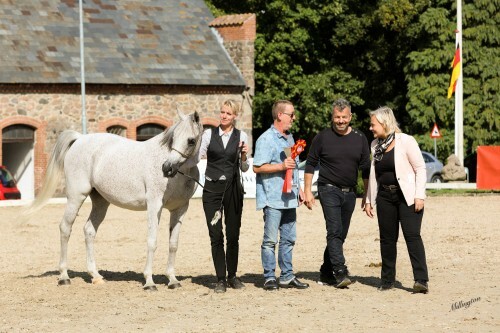 Just perfect for the Danish Nationals hosts by the DSAH, who also host the AJF Amateur Challenge, the Danish Masters in dressage and jumping and offered a Jubilee Evening on Saturday night. Not to forget fun classes for small kids! Heads will turn when Miss Dior NWA walks along. At the Danish Nationals this magnificent bay Marajj daughter out of a Magnum Chall HVP mare garnered Best in Show and Gold Champion Senior Mare for her proud owner and breeder Ole Larsen. Signe and Thomas Kirk Kristiansen of Kirk Arabians, located in Martofte, Denmark, are passionate riders and were among the main sponsors. 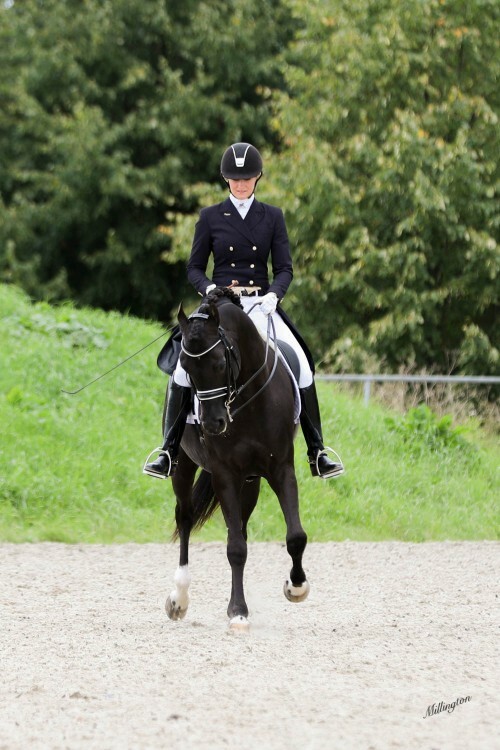 Especially Signe is a keen dressage rider and finds Arabians ideal for this discipline; she already competed at the international Arabian horse riding event in Aachen. At the Danish Masters they competed with five horses, among them the black stallion Zonyx, and reached many good results. Zonyx is the main stallion of Kirk Arabians, not only because of his black coat. The Enzo son out of Balihs Treasure, by CG Balih El Jamaal, is an exceptional moving stallion who is approved for breeding not only for Shagya and Anglo-Arabians but for Trakehner (in Denmark and Germany) as well as for Danish Warmbloods, too. The chestnut gelding Baasim SAD, by El Amin out of Tiwa-A by Wandro, had a busy weekend with his family. 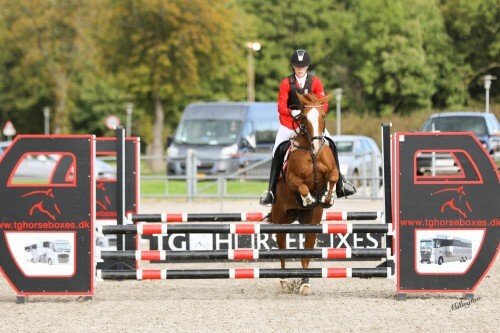 Bred by mother Anita Skou Henriksen, Baasim SAD competed under Anita’s little daughter Freja in ridden classes. Freja’s older sister Sofie showed Baasim SAD to AJF Amateur Challenge Gold Champion Novice and received amazing 100 points for the category “cooperation between handler and horse”. Mette Levorsen, breeder and owner of Bekanzha WZA, had every reason to be proud of her two-years-old grey filly. The Kanz Albidayer daughter Bekhanzha WZA, out of Berousha, AJF Amateur Challenge Gold Champion Amateur and achieved Gold Champion Junior Fillies as well as Most Beautiful Head. The Best Handler award was achieved by Maya Bonde who has been working for Johanna Ulström and who is now moving back to Denmark for the 2018 season. The greatness of those events actually comes with the effort from people behind the scene. 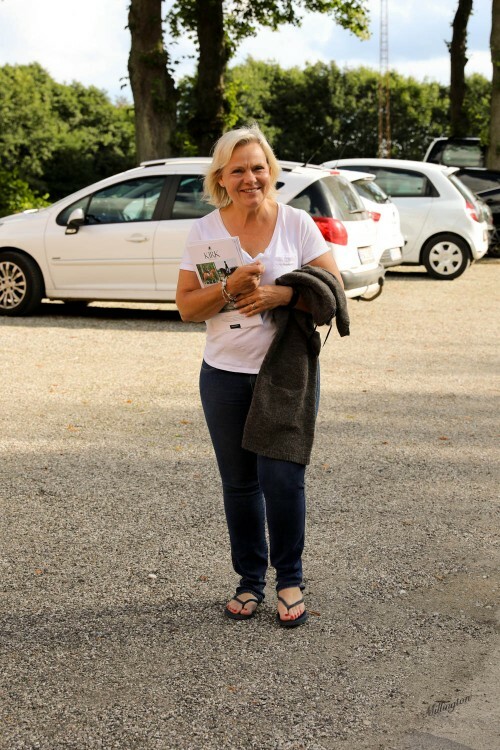 One of those important and passionate persons is Marianne Tengstedt who received a special honor for all her efforts around the Arabian horse in Denmark and the Danish studbook. 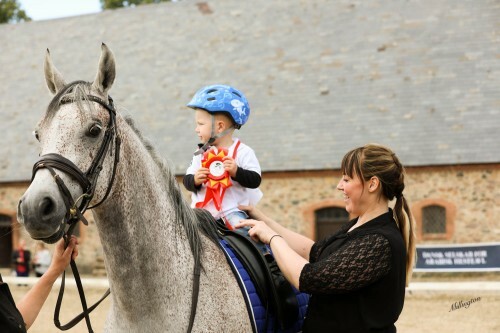 Horses have been a lifetime passion for Marianne, beginning at the tender age of ten when she has purchased her first horse, and she has not been without one since. Especially Arabian horses became a passion very early in Marianne’s life. Within Marianne´s judging career she has had the pleasure to judge many important Arabian horse shows in the U.S., Middle East, Australia, South America, Africa and Europe. All together it adds up to 30 different countries. Besides judging she has also served for more than twenty years as a board member and president of the Danish Society of Arabian Horses. AHT Abroad readers honored Marianne Tengstedt as the “Judge of the Year 2016”. There would be several other stories to tell about the Danish Nationals but time flies. The whole AHGN team have been happily going to this show and cannot wait to come back next year. No wonder, Danish people are not only the happiest on earth, they are also amazing horse people. A sincere and heartfelt thanks goes to the breeders, owners, trainers, riders and handlers and to all the generous sponsors, especially to Aljassimya Farm and Kirk Arabians for inviting the Arabian Horse Global Network to the Danish Nationals!